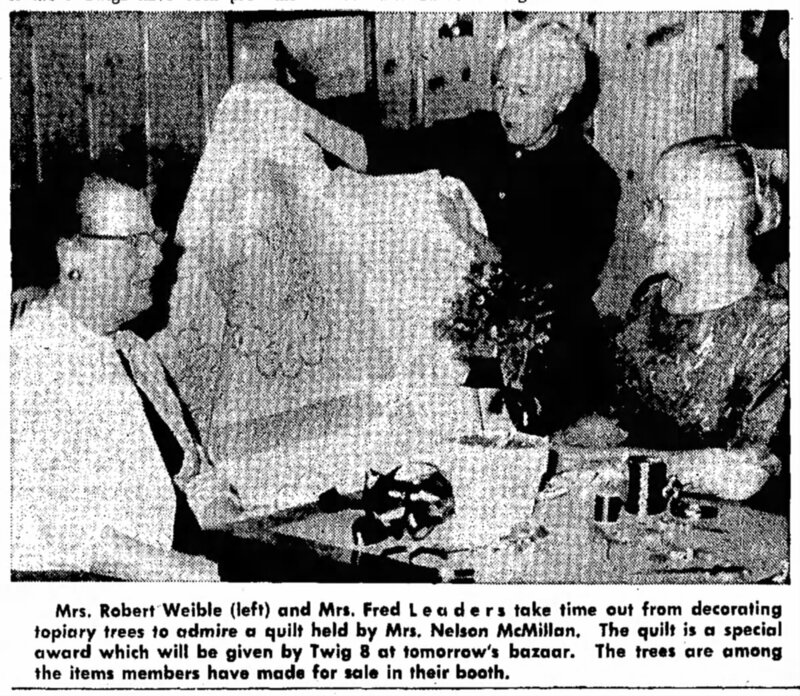 Beatrice Weible in 1959, after her election as president of the Dover Woman’s Club. Our binge-sharing of several dozen finds combing through Newspapers.com archives continues today with a look at the Weibles. I don’t seem to be keeping to my grand plan of garnering posts to last well into this year by only sharing one clipping at a time. However, it’s the cumulative effect of seeing our relatives names crop up in the usual places, year after year, that I find most profound. Take my great-grandmother, Beatrice Morgan Weible. It has always been difficult for me to imagine her young life and family life, since the broadest strokes of history, particularly when it comes to record-keeping, usually focus on the more profound and somber life events: birth, marriage, death. Like my great-grandparents, Vance Foutz and Laura Zeigler Foutz, great-grandma Weible’s early life was at least in part shaped by birth order and the death of parents. 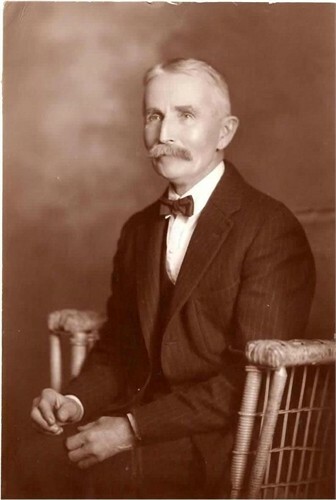 Vance was born seventh in 1887, 20 years after his oldest brother, Sherman Foutz. His father, Jonathan Foutz, died in 1900 when Vance was just 13. The family would soon move from their home of several generations in Harrison County, with Vance and brother Charles working to support their mother, Rebecca, eventually settling in Dover. Laura was born tenth in 1885, 18 years after her oldest brother, Johann Heinrich Zeigler. 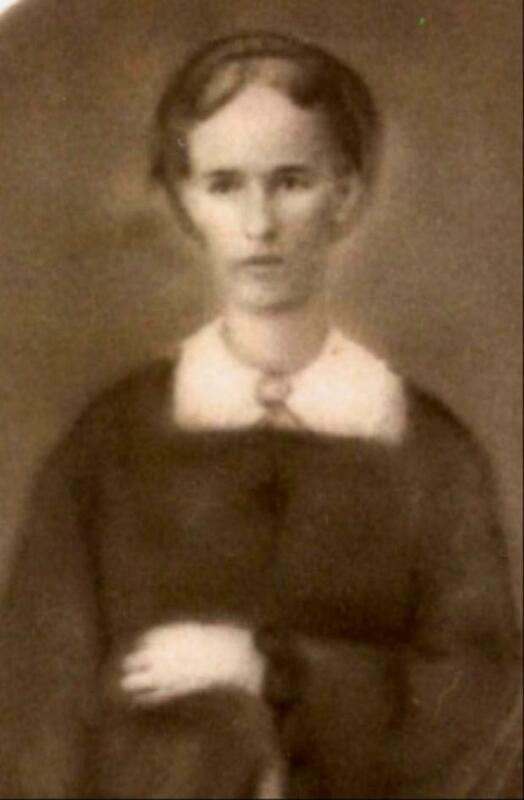 Her father, John Jacob Zeigler, died in 1897 when Laura was not yet 12. While she would have a large support network of siblings surrounding her at their family farm, her married life from the beginning was occupied with sharing a residence and caring for, first, her mother-in-law Rebecca, who died in 1915, and later her own mother, Elizabeth Duerr Zeigler, who died in 1928. 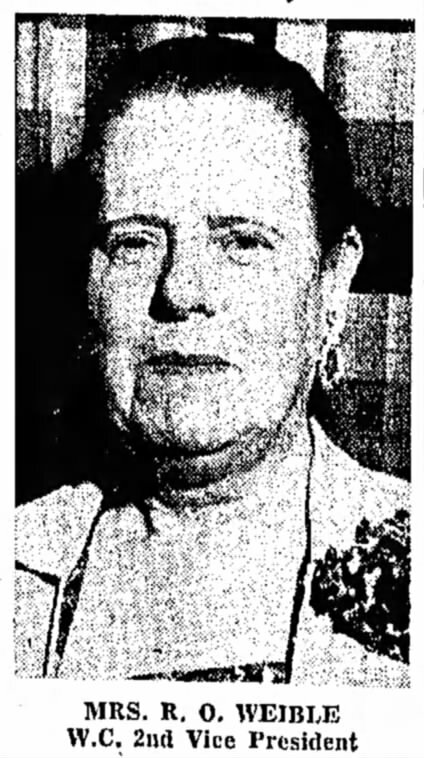 Beatrice Weible, similarly, was born eighth in 1892, 19 years after her oldest brother, William Daniel Morgan. 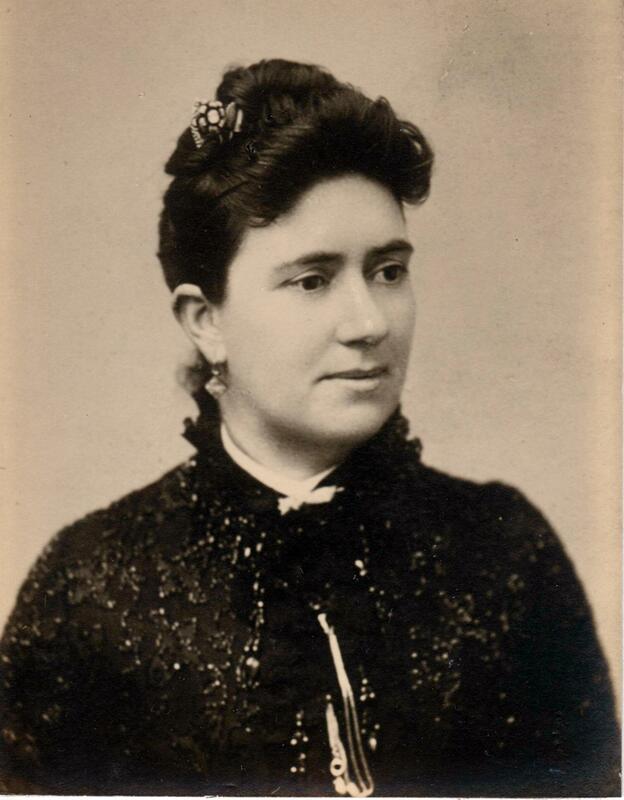 Her father, Thomas W Morgan, emigrated from Wales about 1870, marrying her mother, Jannett Rees, in 1872 in Philadelphia. From there, the family made their way across Pennsylvania. In 1880, Thomas is working as a heater, probably in a mill or factory, and the family resides in Apollo, Pa. By 1884, the family moves to Carnegie, where Thomas finds iron work in the rolling mill there. He is elected to two terms as councilman, and in February 1895 begins running the Hotel Morgan. His promising life is cut short at 49 when he dies in October 1897. Great-grandma Beatrice is just 5 years old. 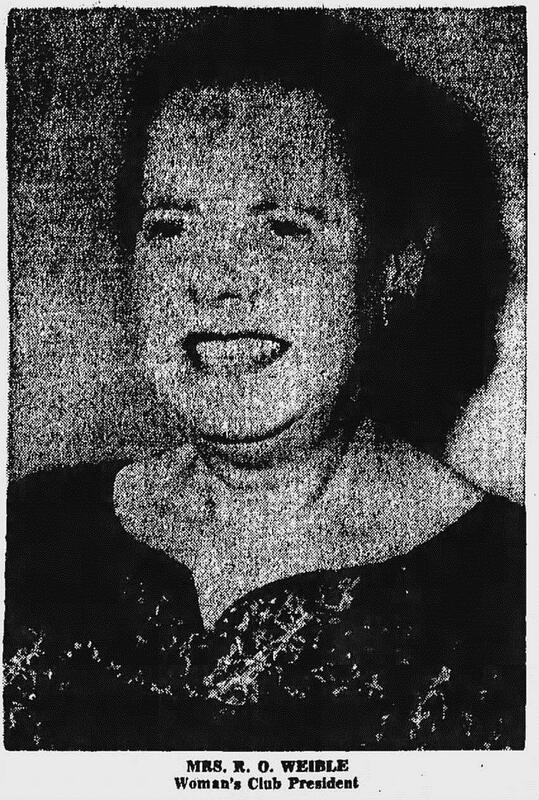 Beatrice Weible in 1957, after her election as 2nd vice president of the Dover Woman’s Club. In the years after Thomas Morgan’s death, the Morgan crew travel extensively. Family lore tells of ocean journeys with matriarch Jannett Morgan to their ancestral home in Wales. Fortuitously, they also reside for a couple years in Dover, Ohio, where daughter Jennet May Morgan becomes the bride of Howard Richardson. 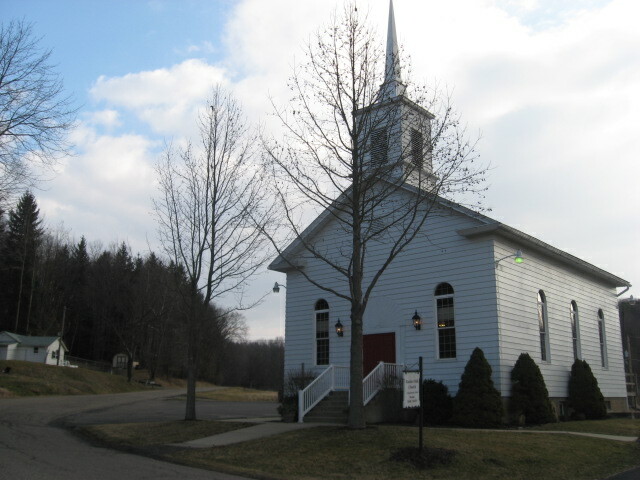 It is in Dover where Beatrice meets my great-grandfather, Robert Ohio Weible. 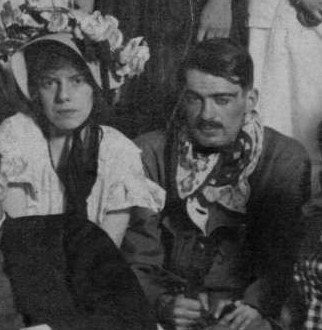 Again, their marriage in May 1914 is shaped, at least in part, at least from the vantage point of history, by tragedy: Jannet Morgan dies three months prior to their wedding, in February 1914. R.O.’s parents, Esther Bliss Goddard Weible and Franklin Eli Weible, follow not long after, in January 1915 and February 1917, respectively. Probably I’m reading too much into an expression. 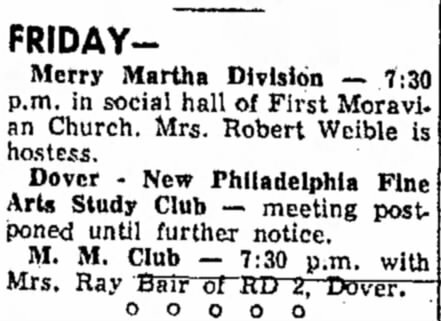 Certainly, the photos above, from the 1950s, show an active, proud, pleasant person in the thick of it with the Dover Woman’s Club. That these images capture her in the decade after great-grandfather Robert Ohio Weible’s early death in July 1947 at just 55, reliably demonstrate her resilience, I think. But one discovery I found particularly intriguing may show evidence of her early re-entry into society life following R.O.’s passing. From February 1950, the Dover Daily Reporter shares the results of the Tuscarawas County Republican party’s choice for its board of elections. On the ballot: R.E. Fair, mayor of Shanesville; Forrest Smith of Newcomerstown; J.A. 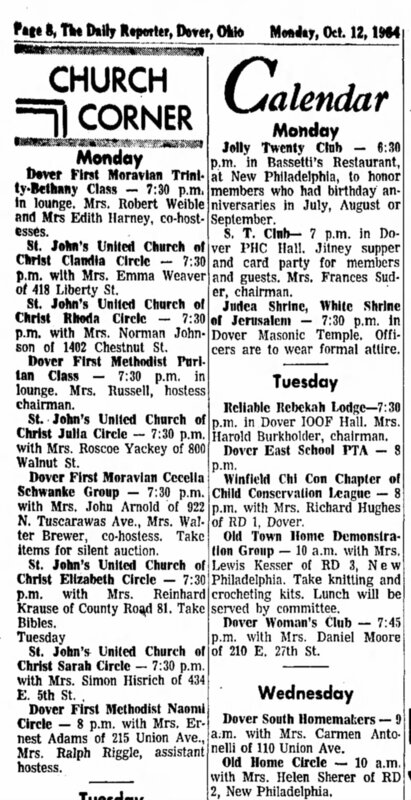 Neff of New Philadelphia; and… one Mrs. Beatrice Weible of Dover. All were vying for a seat to succeed W. Paul Wilcoxen of Uhrichsville as a member of the county board of elections. The article further described Beatrice Weible as “widow of R.O. 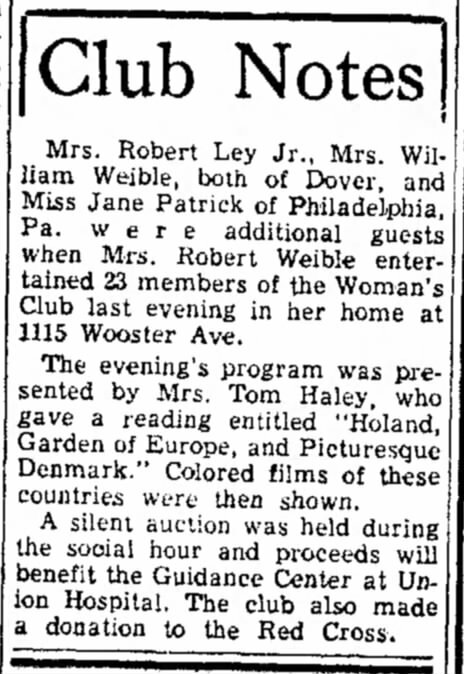 Weible,” hopefully a measure of respect for the wife of a man who had served as chairman of the executive committee in the 1930s, as well as president of the Dover Republican Club (among many, many, many other civic groups). But probably a means of further underlining the obvious: here’s a woman running against three men. 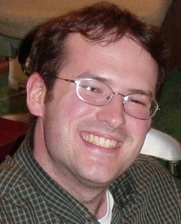 Fair was elected on the first ballot by a wide margin, the article reported. However, great-grandma Weible would go on to enmesh herself fully in Dover life, if not politics, throughout her remaining quarter century. Quite a legacy, I’d say; quite a lady. 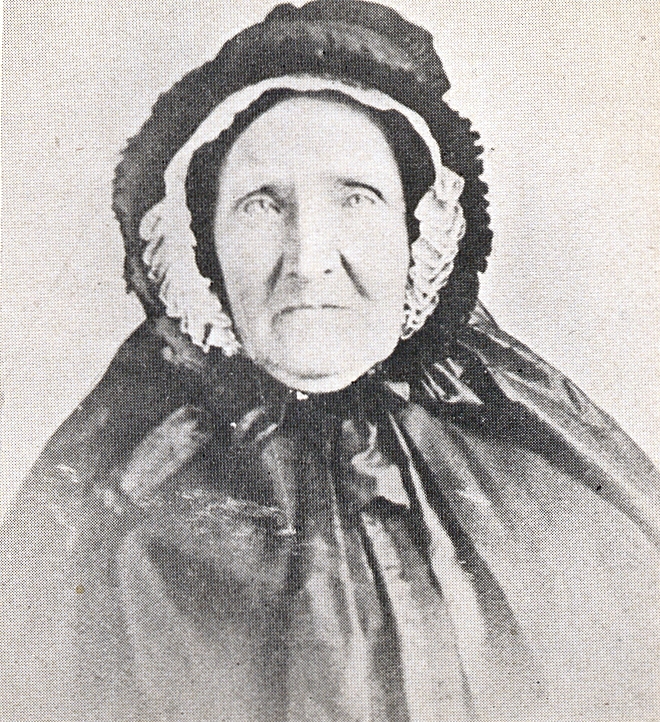 Great-Great-Grandmother Jannett Louise (Reese) Morgan, a native of Wales, made her home in Carnegie, Pa. for decades after immigrating through Philadelphia in 1870. But she made at least one trip back home to Wales, and lived in Dover, Ohio for a time — the place her youngest daughter, and descendants, still call home a century later. 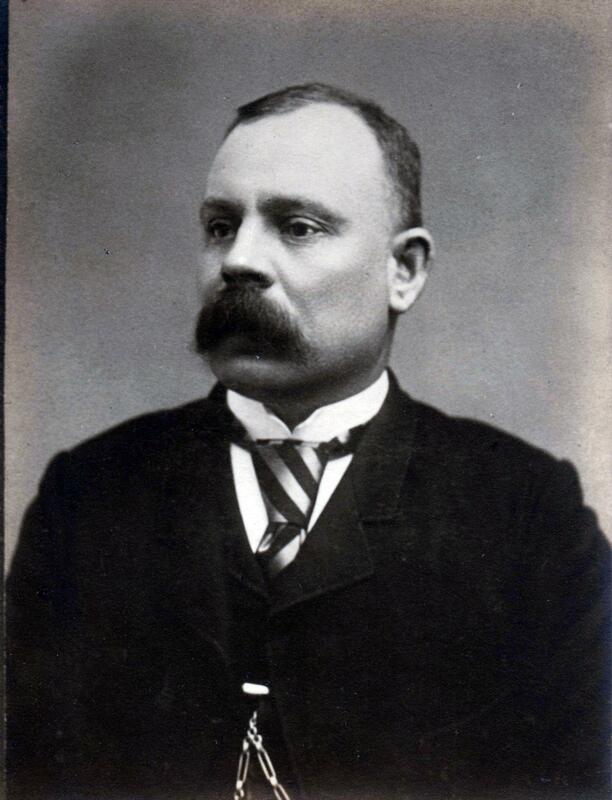 Picking up our series on Vintage Visages earlier this week, we came face to face with Great-Great Grandfather Thomas Morgan for the first time. We followed his life and times as we know them (so far) in America, from emigration from Wales in 1870, to marriage in 1872 in Philadelphia, through work in the mills of western Pennsylvania as a heater. After establishing a foothold in America, the family really settled down in Carnegie, Pa., northwest of Pittsburgh. 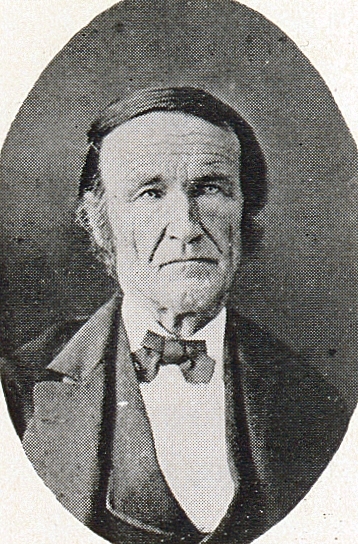 It was there that Thomas made a name for himself in local political life, and in his final years ran the Hotel Morgan. Sadly, those golden years were cut short. 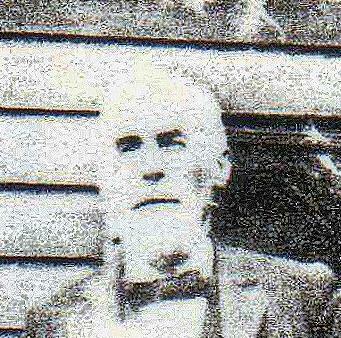 Thomas died in 1897 at age 49 of unknown causes — at least to this one of his descendants 115 years later. His Post-Gazette obituary follows the same tight stylistic constraints the paper stayed with for generations of Thomas’ descendants, revealing no details about his parentage or place of birth in Wales, not even the names of surviving relatives. Fortunately, we know a bit more about his wife, my great-great grandmother, Jannett Louise Morgan. And we pick up the family’s story after Thomas’s death, where interestingly enough, their journey westward continues to the hometown of several branches of my family for several generations back — Dover, Ohio. Following her husband’s death, Jannett Morgan keeps a lively household in Carnegie. 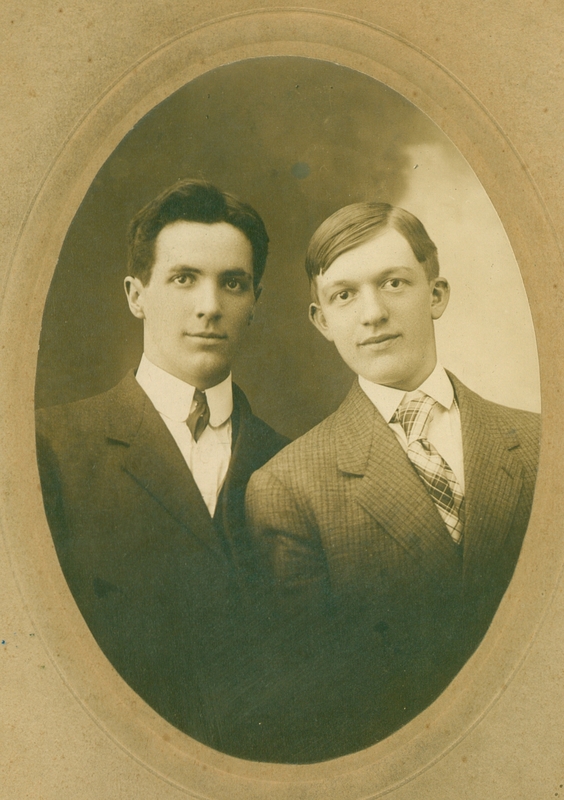 Residing with her in 1900 and most of the decade leading up to 1910 are oldest sons William and Thomas, who were already working, as well as younger sons David and Glenn. 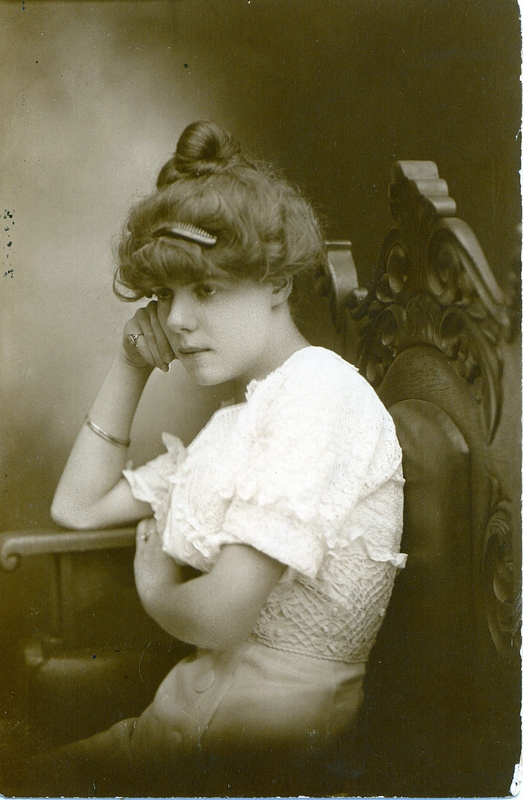 Daughter Sarah would be married by 1910. 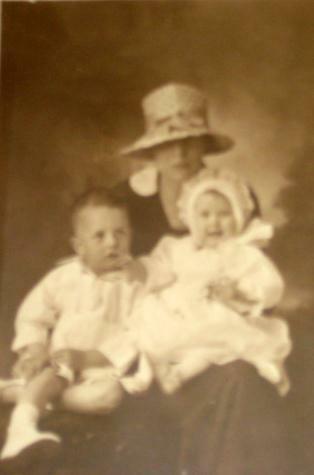 Rounding out the household are younger daughters Janet and (my great-grandmother) Beatrice. But sometime before the next census in 1920 — and more importantly, before Janet’s death in 1914 — part of the family moves to Dover, Ohio. 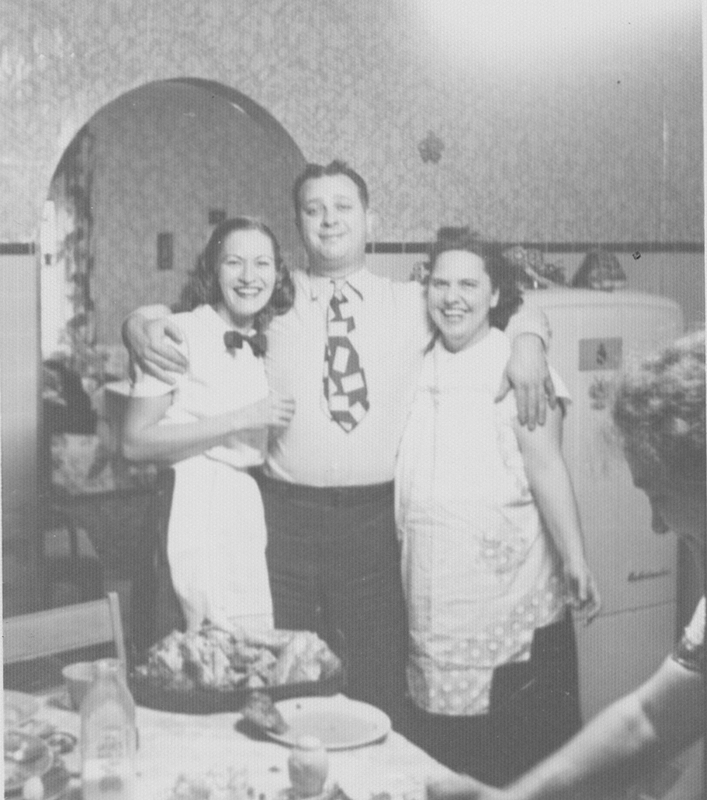 We know this because of the descendants who remain — son Glenn, who married Salina Belle Rudge, died in Dover in 1956, and is buried in Dover Burial Park; daughter, Janet May, who married Howard Richardson, and moved from Dover to Warren, Ohio in the 1930s, dying there in 1978; and my great-grandmother Beatrice, who married Dover native Robert Ohio Weible three months after her mother’s death in February 1914, and made her home in Dover for 60 years until her death in 1974. Great-great-grandmother Jannett Morgan’s Post-Gazette obituary is again vague about anything other than the basic details. But her death was front page news in Dover, Ohio, with the obituary recounting her two-year residence in the city, where she was reportedly “well known here,” but had returned to Carnegie in June 1913. An article the previous day noted that daughter Janet Richardson had been called to Carnegie due to her mother’s illness. None of the articles memorializing Jannett’s final days outline her origins in Wales. What we’re left with, then, are breadcrumbs. Some definitive — like the Pennsylvania death certificate that identifies her father as Daniel Rees, and her mother “unknown.” Or anecdotal clues from family, including Aunt Pinny Ley’s remembering her grandmother, Beatrice (Morgan) Weible telling her that Thomas and Jannett hailed from Cardiff, Wales. 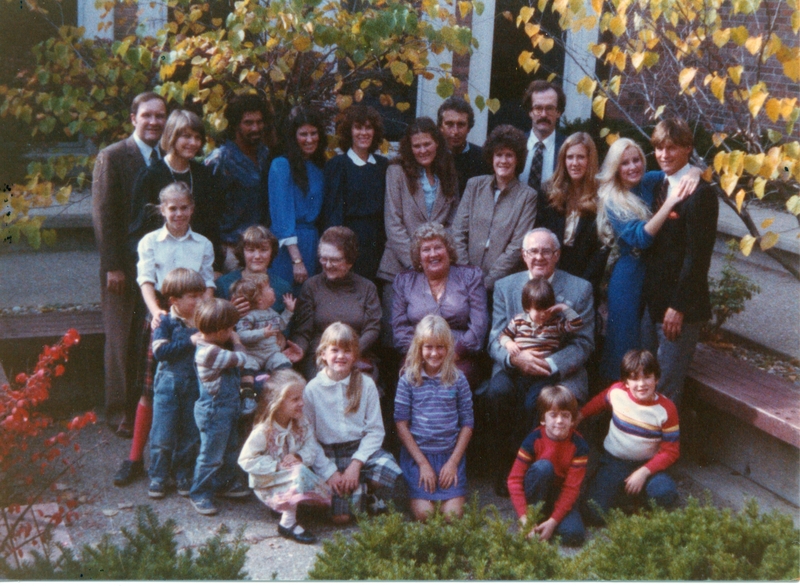 One nice bit of family lore I will present in this blog for the first time is a note from Elizabeth (Betty) Curtis Neely — Jannett’s granddaughter — to my mother Janet Louise (Ley) Foutz in the 1970s. It is Betty Neely’s daughter, Sally, who graciously shared the portraits of Thomas and Jannett Morgan. * Thomas and Jannett had a daughter, Edith, who died in infancy at just more than a month old. Edith is memorialized with a little stone lamb on her grave in the family plot in Chartiers Cemetery, Carnegie. * My great-grandmother — “Aunt Beece,” as Betty calls her — was so tiny that for months the family carried her around on a pillow. * William Morgan — “Uncle Bill” — went to the Yukon during the Great Gold Rush. And was there at the time his mother died, traveling back for her funeral. * William, Thomas and David were all bachelors. I do know that for some years their Mother took the two girls, Mother and Aunt Jen, back to Wales for a summer vacation — usually a month. Mother said it took seven days by boat and she was seasick every minute of the way. Can you imagine packing bags and trunks for 3 women for that length of time — leg o’ mutton sleeves, bustles, etc. — and hats. What this note indicates, with the Wales trips and also the remembrance of visiting cousins, is that the Reese/Morgans maintained links with family, both in Wales and probably stateside, too. That these connections have faded with time is perhaps inevitable — but reason enough for the genealogical quest to continue. 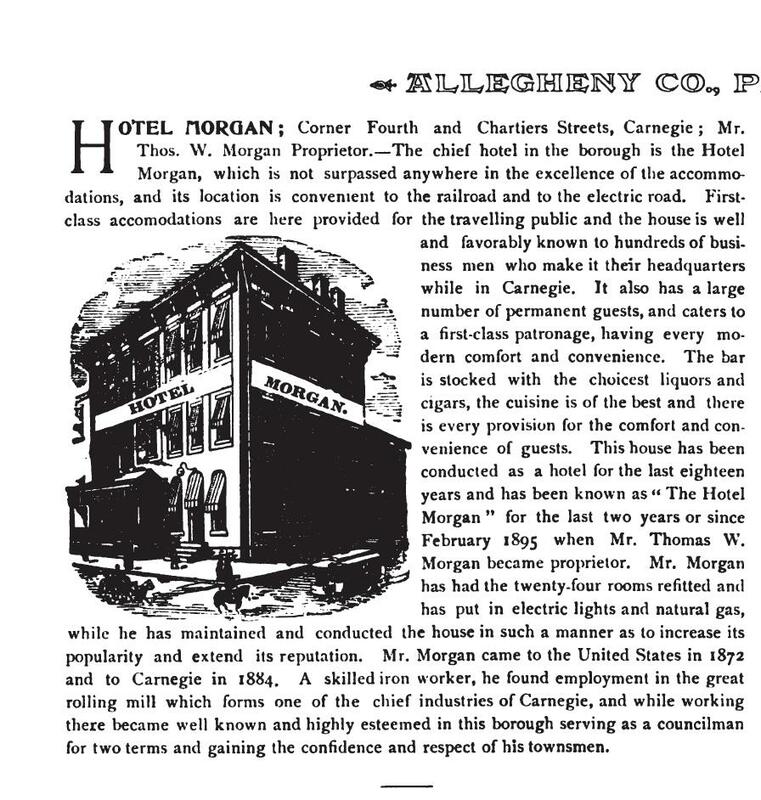 Great-Great-Grandfather Thomas W. Morgan was well-known in 1890s Carnegie, Pa. as the owner and proprietor of the Morgan Hotel. The Morgan branch of our family has long been a fascination for me. A lot of it has to do with my personal association with their stomping grounds near Pittsburgh. While on a college visitation trip, I had the pleasure of visiting one of my mom’s namesake relatives, Janet Louise Curtis. We’d gotten sidetracked, somehow, in all those hills surrounding the city, and Mom navigated by memory down Shady Lane in Mt. Lebanon, where we dropped in on an aging Janet. She had been a graduate of Westminster College and, later, Penn State, and had taught for years in the Carnegie and Mt. Lebanon school districts. At 84, she was still a lively conversationalist, recalling, among other things, her fondness for the football exploits of the Steelers’ Terry Bradshaw, related in her Pittsburgh accent. Later, during the April of my freshman year at Carnegie Mellon University in Pittsburgh, I had the bittersweet privilege of attending Janet’s funeral and connecting with extended family. She is buried in the cemetery of her ancestors, Chartiers, in Carnegie. 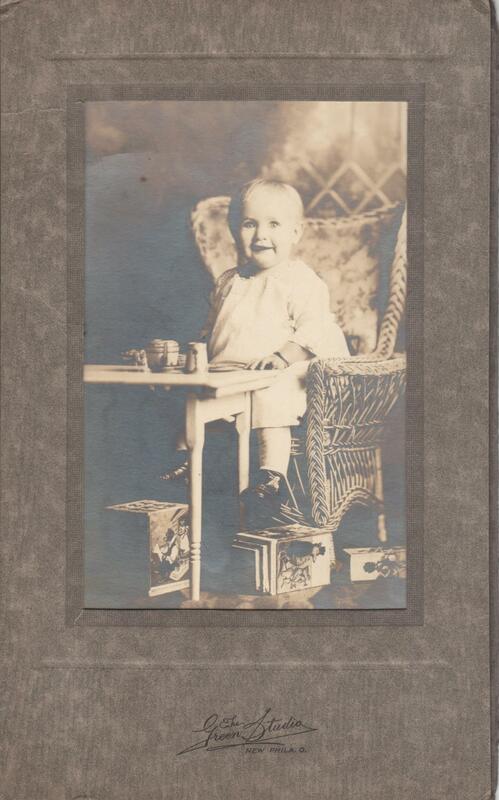 Mom (Janet Louise (Ley) Foutz) had always enjoyed staying in touch with another Janet Louise, a niece of her favorite grandmother, Beatrice Ethel (Morgan) Weible. And that was the main connection for me — Mom’s beloved grandmother and confidante. I’d heard much about that branch’s Welsh ancestry, which ran through the namesake of all namesakes, Great-Great-Grandmother Jannett Louise Reese and her husband, Thomas W. Morgan. So when I started digging into family history in August 2008, chipping away at the Morgan connection was an engrossing, and — as it has turned out — slow-going endeavor. I won’t be sharing any new information on Great-Great-Grandfather Thomas W. Morgan in this post, except to recap what’s already been pieced together. Oh, yeah — and share his portrait for the first time! This remarkable keepsake was graciously shared a month or so ago by Sarah Neely — niece of Janet Louise Curtis, daughter of Elizabeth Curtis Neely, granddaughter of Sarah Elizabeth Morgan Curtis and great-granddaughter of Jannett Louise Morgan. We’ll get to the matriarch Jannett Louise in the next post. * He came to America about 1870, marrying Jannett Louise Morgan in 1872, in Philadelphia, Pa.
* In 1880, we next find the family in Apollo, Pa., in Armstrong County, where Thomas Morgan works as a heater, probably in a mill or factory. The young couple has three children: William, Thomas and 1-year-old Sarah (Sally Neely’s grandmother). * In 1884, the family moves to Carnegie, where Thomas finds iron work in the rolling mill there. He is elected to two terms as councilman, and in February 1895 begins running the Hotel Morgan. MORGAN-On Sunday, October 17, 1897 at 5:10 a. m., Thomas W. Morgan in his 50th year. Funeral services from his late residence, Hotel Morgan, corner of Fourth Ave. and Chartiers St., Carnegie, Pa. on Tuesday, October 19 at 2:30 p. m. Friends of the family are respectfully invited to attend. Now, there could be a clue to his origins in the instruction to copy the New Castle papers. But the number of Thomas Morgans who emigrated from Wales in the 1800s is staggering. And records at Ancestry.com which show his presence in Wales in 1871, 1901 and 1911 aren’t really helpful. Probably an international records search or a detailed conversation with other branches of the family can help fill in the missing details. In the next post, I’ll pick up the Morgan story with Jannett Louise — and share her portrait.